Researching storage solutions to get ready for a move? Wherever you’re planning to go and however much you’re having to pack, make sure you have the best, most useful packing materials to protect your belongings. Affordable Family Storage isn’t just here to provide storage solutions in Council Bluffs, IA with modern, secure storage units – we also provide storage solutions with advice for packing, boxing up, and transporting your stuff. In this blog, we’re going to look at the most useful, simple packing materials you can find. Packing tape is a simple but essential item when it comes to boxing up your belongings. Many people will try and substitute different types of tape for packing tape, but packing tape is made specifically for this purpose. It’s designed to be strong with durable adhesion so that it can take a lot of weight and not come unstuck easily. Other kinds of tape won’t necessarily as well or for as long as packing tape, so make sure you get the right kind – and a lot of it. Bubble wrap is another essential in storage solutions. 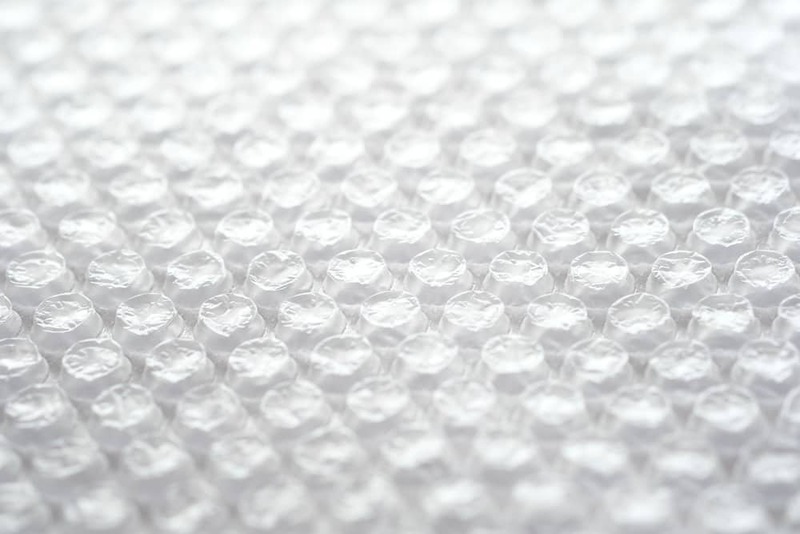 If you’re packing a lot of delicate items, or items with breakable pieces and parts, bubble wrap is invaluable. Like we mentioned above with packing tape, you should make sure you have a lot of bubble wrap at the ready when it comes time to pack things away. There’s no such thing as too much, and it’s a good idea to have multiple layers for added durability and insulation. Getting hold of cardboard boxes is often easy enough. They’re cheap to buy, and you’ll often find a few lying around your house that were once used for something else. But cardboard isn’t always the best solution – particularly if you’re storing items rather than just moving. While storage units do offer climate control options, cardboard is still susceptible to getting damp or moldy, depending on what’s inside. For better storage solutions, think about getting something sturdier like plastic containers with sealable lids. Stretch wrap is less commonly used in packing but is a great solution for larger items. You’ll often see stretch wrap used in industrial applications to bind large, heavy boxes or items together securely. If you have larger items you want to keep safe, stretch wrap might be what you’re looking for. Remember, however, that wrapping things too tight can potentially cause damage over time. A simple but often forgotten part of the packing process, permanent markers come in extremely handy when you need to organize your stuff. Permanent marker will last a lot longer than a hastily-grabbed ballpoint pen when you’re marking what’s in what box and is less likely to fade while in storage. We hope that these examples can help you safely and securely pack most of your household items and belongings ready for moving or storage. If you’re looking for storage solutions that won’t break the bank, and that you know you can trust, Affordable Family Storage can help. Our storage facility in Council Bluffs, IA is fitted with the latest in security and storage technology, and we’re dedicated to customer service. Talk to a member of our friendly know knowledgeable storage rental team today. Food storage is important, and having at least a couple of weeks of supplies stocked safely away in your home is a great idea. This is especially true if you live somewhere more rural or isolated. Not only does it cut down on grocery trips, but also means you’ll be fine should the weather keep you from traveling. But what about using a storage unit as an emergency food store? Typically, this isn’t the best idea. While certain canned, dried, and powdered foods are designed to have a long shelf-life, the majority of edible products don’t have enough staying power to be kept in a standard storage unit. Not only that but even if you’re storing dehydrated food that’s meant to last, you’re increasing the chances of pests and infestations. Just like your own food, it’s usually a bad idea to store pet food of any kind in your storage unit. While it might be tempting to use affordable storage to store bulk amounts of dry dog food, it’ll cause the same problems that we mentioned above. The smell of food is likely to attract pests, and a lot of pet foods are especially pungent. The shelf life of pet food also varies greatly depending on what kind of food it is, how it’s packaged, how it’s prepared and how well it’s preserved. If you really wanted to store it using affordable storage facilities, you’d have to be prepared to take regular inventory and know exactly what you’re keeping, where and for how long. While not quite as drastic as food, scented or wet items are also not ideally suited for a storage unit. The shelf life of scented candles, or the wax for bulb burners, is really dependent on room temperature. Even in a temperature controlled storage unit, they’re likely to lose their distinctive smell faster. Not only that but in the time they do retain their smell, it’s very likely to bleed into anything else you have stored with them. Diffusers and the oil capsules that come with them are also likely to leak if they’re stored over long periods. Not only will this leave that once-pleasant scent all over your belongings, but it’s also going to cause damage and encourage mold. Whatever you’re looking to store, and for however long, Affordable Family Storage is here to help. We can offer you the best in modern, secure and affordable storage from a few household items to full living room sets and more. We pride ourselves on our customer service, so you’ll know you can always trust our staff to help you and keep your belongings safe. Contact our 24-hour storage rental team today.